Pearl Harbor is an iconic location, a major piece of the history of not just Hawaii, but of the United States and the world. The December 7, 1941 attack changed the United States forever, forcing it into a war that would transform it into the global power we know it as today. Visiting Pearl Harbor is something that should be on the must-do list of everyone who comes to Hawaii. Armed with this ultimate guide to planning your Pearl Harbor visit, you can feel 100% prepared to explore what happened on that fateful Sunday morning in December. 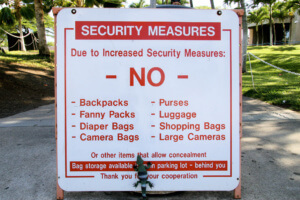 Since you’re entering a high-security area, it’s important to remember there are some items you can’t bring with you. Remember that bags are not permitted anywhere at Pearl Harbor. You’ll need to plan what items to bring based on what you’re able to carry in your pockets. Cameras are permitted—and highly recommended—but not camera bags. If you’re traveling with medical equipment, speak to security staff to make necessary arrangements. You don’t need much for your day at Pearl Harbor. The focus should be on comfort, because there is quite a bit of walking to be done. Flip flops and sandals are permitted, but may not be the best to walk in for a prolonged period. Wear comfortable shoes, and clothing that’s appropriate for the solemn nature of the places you’re visiting. Avoid showing excess skin and wearing graphic and inappropriate t-shirts. Pearl Harbor adheres to ADA accessibility regulations. Pearl Harbor attractions are wheelchair accessible, and there are accommodations for guests who are blind and hard of hearing. 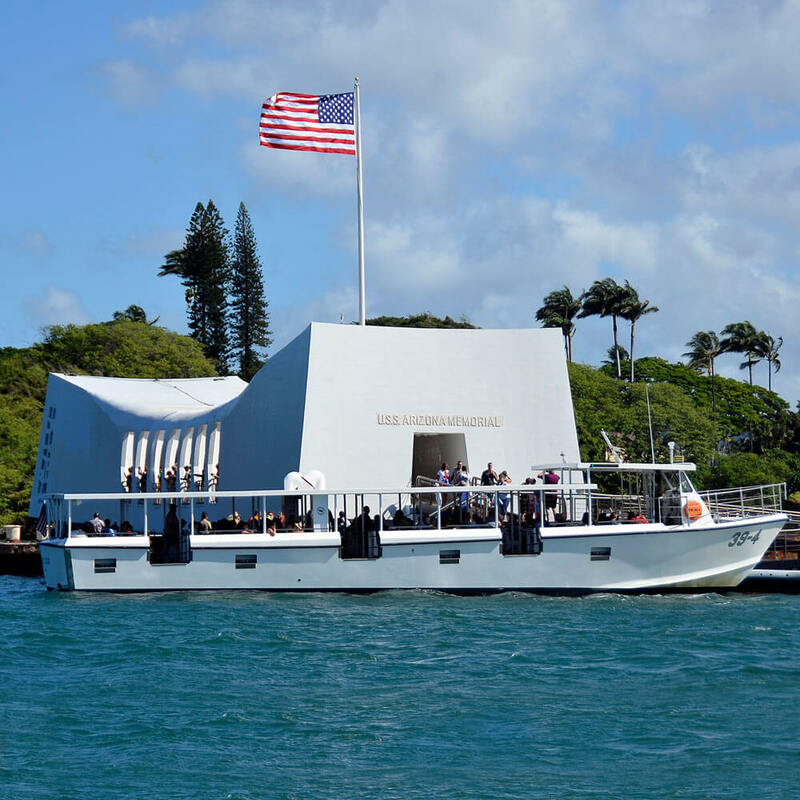 Now that you know what to bring with you and what to leave in your hotel, the next thing to know is that tickets for the timed program for the USS Arizona Memorial are limited to a certain number per day. If you happen to be visiting during a busy traveling time, make sure you arrive early. The ticketing booth opens at 7 AM, and people often start queuing up well before that. Rather than taking the risk of not getting tickets, many people decide that visiting Pearl Harbor is best done on a tour. There are many different Pearl Harbor tours, so there’s sure to be one that meets your needs. The most complete of them is a full tour that takes you through the Pearl Harbor Visitor Center, the USS Arizona Memorial, Battleship Missouri, USS Bowfin Submarine Museum and Park, and the Pacific Aviation Museum. Most tours originating in Waikiki also take in other Honolulu landmarks like the King Kamehameha statue, ‘Iolani Palace, and the National Memorial Cemetery of the Pacific in Punchbowl Crater. For those who don’t want to spend an entire day visiting Pearl Harbor, there are shorter tours, as well as combo tours that also visit other parts of Oahu. Is Visiting Pearl Harbor Appropriate for My Kids? Though some of the subject matter can be heavy, Pearl Harbor is a very family-friendly place. In fact, it’s a great idea to bring your kids, so that they can experience the history of their country first-hand. The World War II Valor in the Pacific National Monument also hosts a Junior Ranger program. Visit the bookstore at the Pearl Harbor Visitor Center to purchase a scavenger hunt booklet to complete throughout Pearl Harbor. Once all the activities have been completed, a Park Ranger administers the Junior Ranger Pledge, and the new Junior Ranger of Pearl Harbor gets a really cool badge. What if I’m on a Different Island? 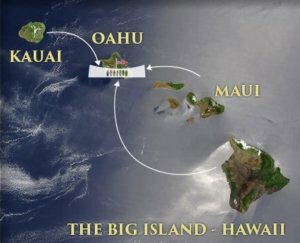 Since the Hawaiian Islands are relatively close together, there are also tours that include transportation from Maui, the Big Island, and Kauai. Will I Need More than One Day? While there is a lot to take in at the World War II Valor in the Pacific National Monument and the other Pearl Harbor Historic Sites, you should be able to see everything in one day. If you’re planning on visiting Pearl Harbor on your own, that means getting there early. 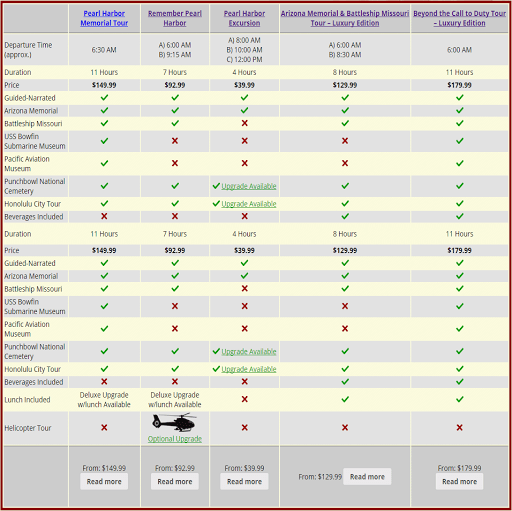 Another advantage of taking a Pearl Harbor tour is that your guide takes care of arranging all necessary tickets, as well as keeping to a schedule that ensures you don’t miss out on anything. The main attractions are impossible to miss: the USS Arizona Memorial, the Battleship Missouri, the USS Bowfin Submarine Museum and Park. But there are other important sites that you may miss if you don’t know to look for them. The USS Oklahoma Memorial is located near the entrance to the Battleship Missouri. It’s a beautiful tribute to the 429 men who gave their lives when the USS Oklahoma (BB-37) was attacked and sank on December 7, 1941. Throughout the harbor are placards withe information about different points of interest. These can be found along the main walking paths. Visiting Pearl Harbor may only take a day, but it can be a long day that requires a break for food. You’ll find snack optionss near the USS Bowfin Museum and next to the Battleship Missouri, and if you’re looking for a sit-down meal, you won’t have to look very far. The Pacific Aviation Museum is home to Laniakea Cafe, with a menu offering a variety of options. There are other eateries outside of Pearl Harbor. Restaurant 604 has been a favorite of visitors and is located close to the entrance to the Pearl Harbor Center. Not far from the harbor are an L & L Hawaiian BBQ, Dixie Grill, Forty Niner, and Anna Miller’s Restaurant. How Can I Best Remember Pearl Harbor? Take lots of pictures during your visit. Ask questions of the Park Rangers and other experts on site. 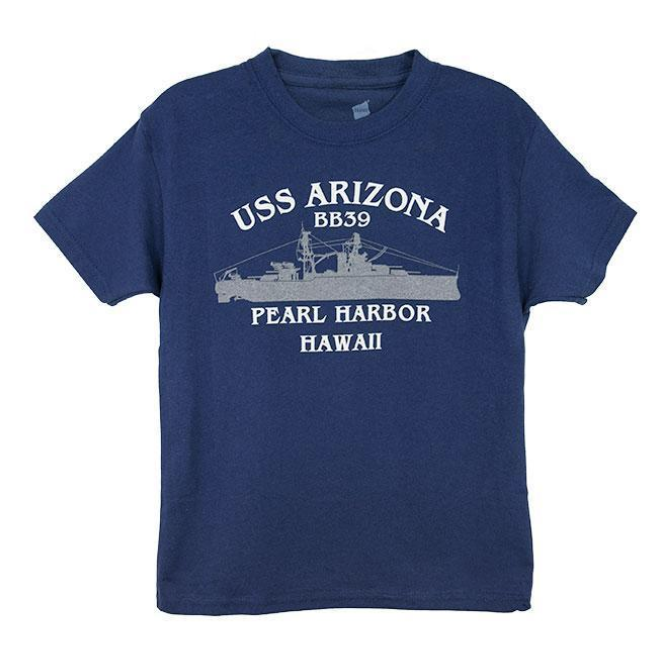 Visit the bookstore and gift shop for one-of-a-kind Pearl Harbor souvenirs.